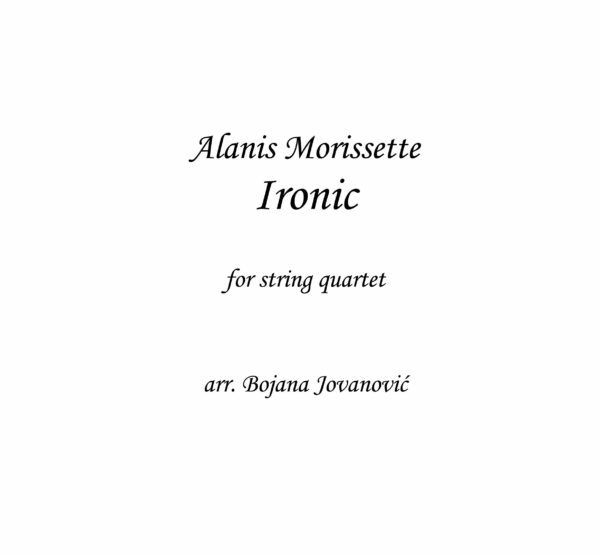 Alanis Morissette Sheet music presents you song of this artist written as arrangement for String quartet on our website: Ironic. Alanis Morissette is a Canadian-American alternative rock singer-songwriter, musician, multi-instrumentalist, record producer, and actress. Morissette began her career in Canada in the early 1990s, with two commercially successful dance-pop albums. In 2001, Morissette was featured with Stephanie McKay on the Tricky song “Excess”, which is on his album Blowback. Morissette released her fifth studio album, Under Rug Swept, in February 2002. For the first time in her career, she took on the role of sole writer and producer of an album. 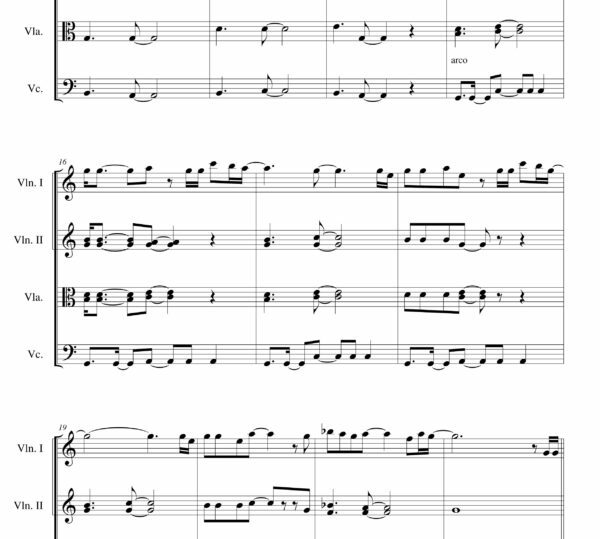 Her band, comprising Joel Shearer, Nick Lashley, Chris Chaney, and Gary Novak, played the majority of the instruments; additional contributions came from Eric Avery, Dean DeLeo, Flea, and Meshell Ndegeocello.